As a business owner or marketer, you likely know your product and service better than anyone else — right? Maybe, but there are also individuals who are well-versed in a variety of different niche topics and who are able to speak to your prospects and customers in a way that resonates with their needs and desires. The niche writing world is vibrant and ever-changing, with more talented writers learning that they can leverage their knowledge of particular topics to share your message with the world. When you are able to target all of your messaging and content to a particular audience segment, you’re amplifying your content in a way that’s sure to strike a chord with buyers. That doesn’t mean you shouldn’t create content for a broader audience, it simply means that it’s worth the time and effort to find the unique niches that your competitors may have overlooked and circulate ideas that will persuade them to take action. Do you want to increase your relevance score in social media ads and win the bidding war for your keyword on search engines? Then it’s critical that you target content directly to a specific niche and their interests. When you utilize niche writing to target content to your audience, you’re building a better relationship with those individuals. Think about it in terms that are more comfortable. If you’re at a party and you don’t really know anyone, where do you gravitate? You look for a group of people who are speaking your language — using terms with which you are familiar and on topics that interest you. Why should your audience be any different? They want to know that you’re going to address topics that are interesting and help them solve a problem. More than 60% of professionals at top ad agencies consider audience segmentation their top priority in 2018 and beyond. According to Pinterest, ads that are micro-targeted to niche audiences cost 20% less and improved click-through-rates by a whopping 50%. Without relevant content that is optimized for their needs, 61% of social media users are likely to unfollow your brand. Providing niche content for targeted audience segments is one of the best ways to reduce advertising cost, improve relevancy ratings and grow your social media presence. Are you a real estate mogul? Perhaps a restaurant-owning maven? Or maybe you have created a widget that only appeals to a very limited subsegment of the country? You might be surprised to learn that leading content development websites have over 10,000 writers with a wide range of backgrounds and areas of expertise. Finding the perfect niche writing partner may take a bit of trial and error, but there are some easy-to-use tools that will make your journey faster and more satisfying. At WriterAccess.com, you’ll have immediate access to a bevy of talented content creators with AI tools such as the StyleMetrics Matcher that help match you to the perfect writing team. You can also have conference calls and exchange messages with your potential writers before ever placing an order. Need to be sure you’re getting the right person for the job? Try launching a writing style contest directly from within the platform! You’ll receive three versions of the same piece of content — all completed by talented writers who often have a deep understanding of your business and target audience. 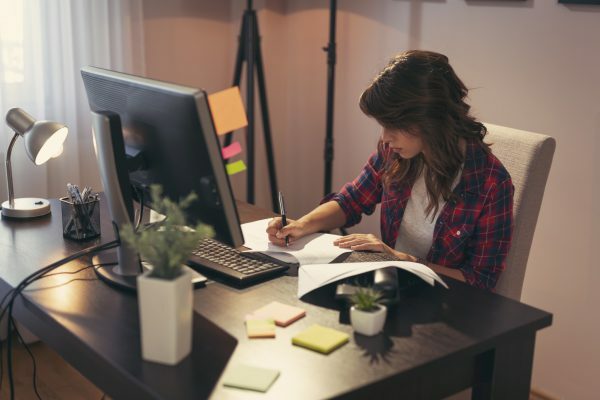 When you’re ready to gain a competitive edge over the competition by providing your niche audience segments with relevant, engaging and actionable content, visit the pros at WriterAccess.com. Creating content that excites your audience and positions your brand as a thought-leader not only helps your search engine rankings, but it proves to your audience that you understand their needs. Myca A brings 12 years of director-level marketing, sales and communications experience. She has worked with all sizes and types of organizations from GE Capital Corporation and a $100MM non-profit down to a small local promotional products manufacturer. Her experience in publishing, process improvement, change management, leadership, finance, communications and marketing give her a broad background to draw upon when crafting compelling content.